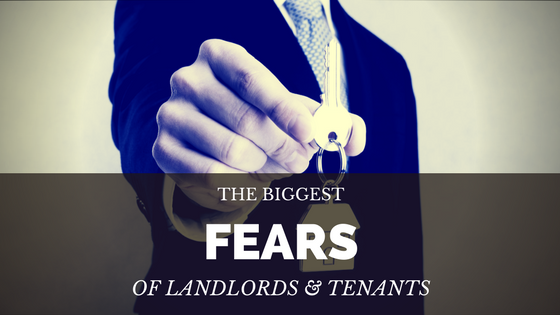 Landlords and tenants comprise a huge slab of Australia’s property scene and each group has their own specific fears. If they knew what scares each other the most, they might enjoy nicer relationships. Landlord insurer Terri Scheer Insurance deals with both parties — often in times of turbulence — so I asked them to help me compile the biggest fears faced by landlords and tenants. Read ahead … if you dare. About one-third of Aussies are renters, and their biggest fear is unexpected rent rises. Many may face this soon, with all major banks lifting interest rates for investors last month despite the Reserve Bank’s official cash rate not moving. Mortgage rates on investment loans have climbed in the past couple of years as banks and regulators try to slow booming house prices in Sydney and Melbourne. Some rate rises get passed onto tenants, but Terri Scheer executive manager Carolyn Parrella says landlords should take a “considered approach” to rent reviews and give tenants plenty of notice. Another big fear of tenants is having their lease cancelled, particularly if they are only given a few weeks to leave, and it’s doubly-stressful if they have pets when there are no pet-friendly replacement properties. Renters also stress about losing their bond money, which Ms Parrella says is generally four weeks rent and could be worth more than $2000. “Both tenants and landlords should be aware that general wear and tear is not a reason to withhold bond money,” she says. Related Article: ‘I wish I hadn’t done it’: Is renting to family or friends ever a good idea? While landlords are seen as the ones with the power, they get frightened too, usually over the potential to lose money. A wise investor sees property as a pure business decision, but it can be hard not to feel personally abused when tenants don’t pay or trash the place, and the process of fixing the situation can be frustrating. Unpaid rent is a big worry, as are costly maintenance issues. Paying to fix electrical faults and broken appliances is expensive enough for your own home, but imagine having one or two other homes with the same problems. It’s not fun. Unruly renters — or tenants from hell — are another big fear of landlords, and also of neighbours. Employing a property manager who makes routine inspections can help ease these fears. They can also help prevent another landlord worry — unoccupied property — by knowing the market. The final fear haunting landlords is rising interest rates. It was only two years ago that investors paid the same as owner occupiers — now they pay up to 0.7 per cent more. Ouch. Fear fuels bad property decisions among both investors and renters, so understand the worries of both sides to make better judgments that don’t leave one side running scared. « Should I sell or lease out my property?